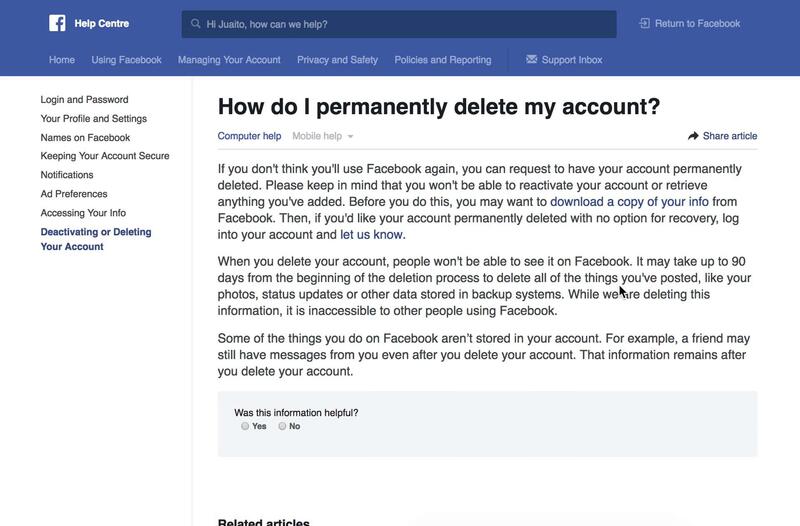 After all of the recent Facebook news and the whole #deletefacebook thing, I figured it would be a good time to see how Facebook dealt with account deletions. 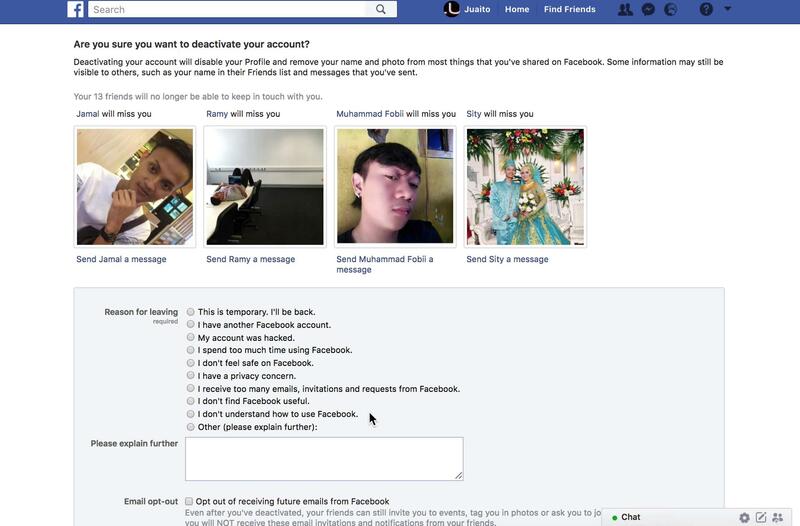 Before we dive in, I want to quickly explain the difference between deactivation and deletion. When you deactivate your account, you don't show up in search or on friend lists, but you can log back in whenever you want to re-activate it. Deleting your account is more permanent. Once it's deleted, you can't go back to it and continue using it as if you never attempted to abandon it. This took me to this emotional page full of friends who would miss me. Little do Facebook know (who am I kidding, they know everything), I knew none of these people because this is a fake user I set up to test things a few years ago. I felt no guilt from the images of "friends" who would miss me, but I imagine this would be quite effective if I actually knew these people. On this page, we're also asked to select a reason for leaving. 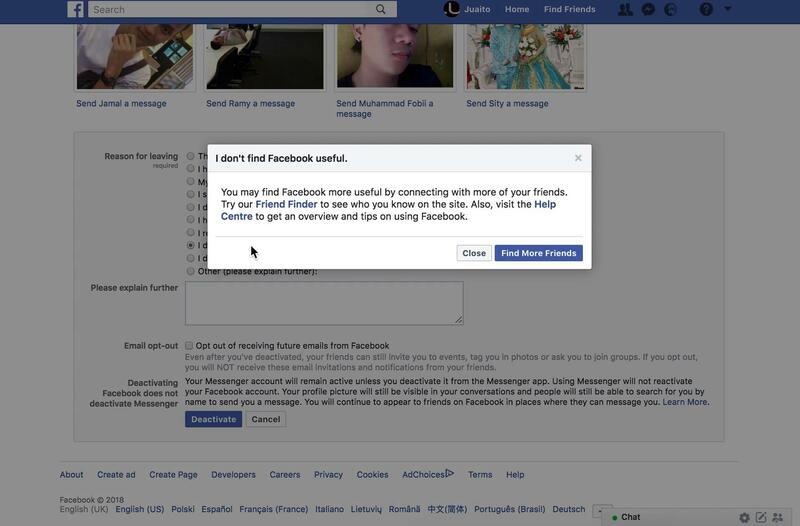 Once we select a reason for leaving, we're given a possible solution to our problem with Facebook. This is similar to an approach Dropbox takes with account downgrades and I quite like it, but not everyone is a fan. I personally think this approach could geninuely help people discover useful features they didn't know existed and isn't that much of an inconvenience. I find it way less offencive than the whole "friends will miss you" thing. 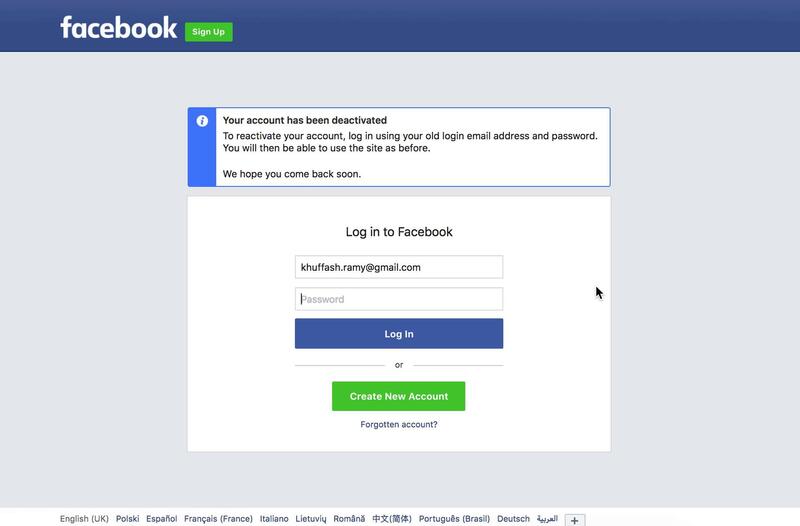 Anyway, after we submit and confirm on one final warning modal, our account is deactivated. My account has been deactivated. I'm told I can just log back in and continue as normal whenever I want. Unfortunately, I didn't notice any mentions of how I can actually delete my account, so I log back in for a second attempt. I head back to the settings page, but this time, instead of clicking the "Deactivate your account" link, I try my luck with the a "learn more" link. This takes me to a slide show titled "Account Deactivation & Deletion." Deletion you say? I must be on the right track. 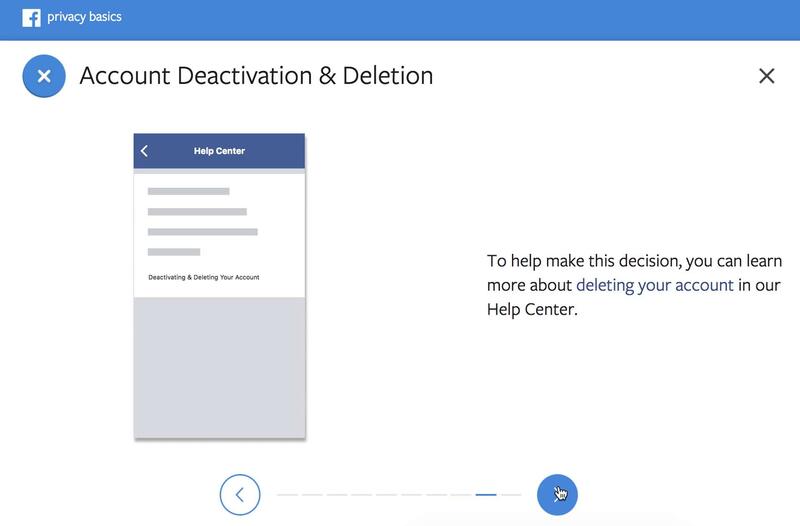 One of the slides mentions that we can learn more about account deletion in the Help Center. I guess I could have got to this page much quicker with a search, but I'm here now. 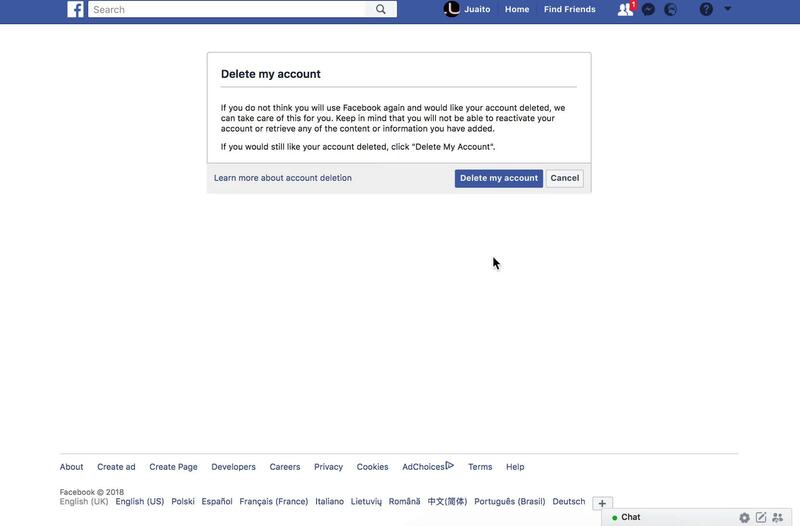 I follow the link to the help center article about account deletion. 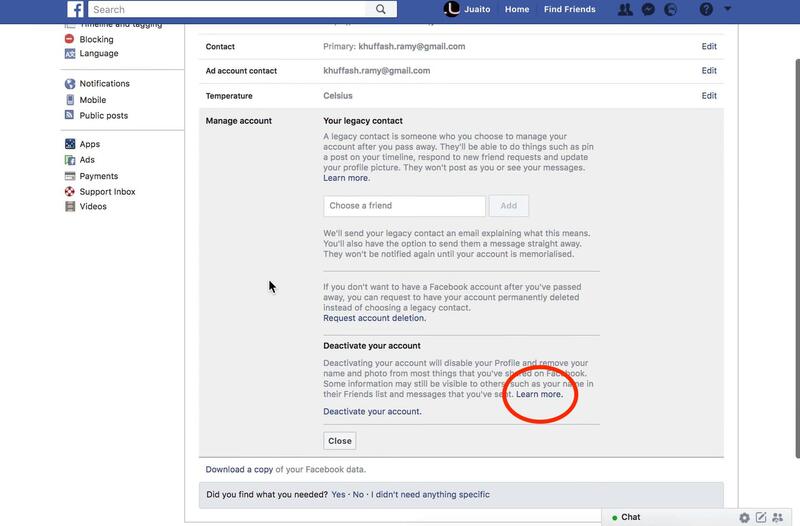 On the help center page, there's a link where we're told we can let Facebook know we want to delete our account, so I click on that. Bingo! It looks like I found it. I go ahead and click the "Delete my account" button, confirm my with password and a captcha, and my account is deleted (in 14 days). 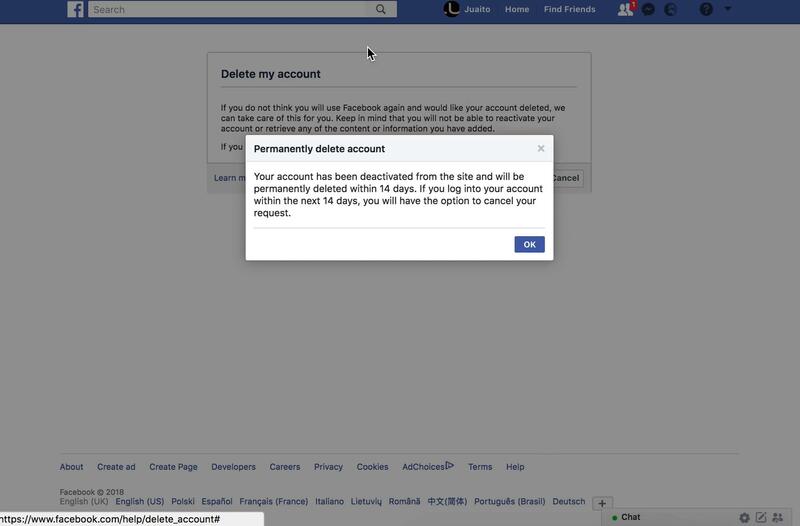 Here I'm told my account has been deactivated and will be deleted in 14 days unless I log in to stop the deletion. Now we've managed to delete our account, we can sit back and reflect on that process. I'm sure the whole "deactivation" thing has saved many people's bacon, but it seems like a bit of a distraction. I have no data here, but I'm guessing more often than not, people only deactivate their account when they mean to delete it. The only parts I liked and would consider implementing are the tips to help people overcome their reasons for leaving and the 14 day buffer to change your mind after the account deletion. 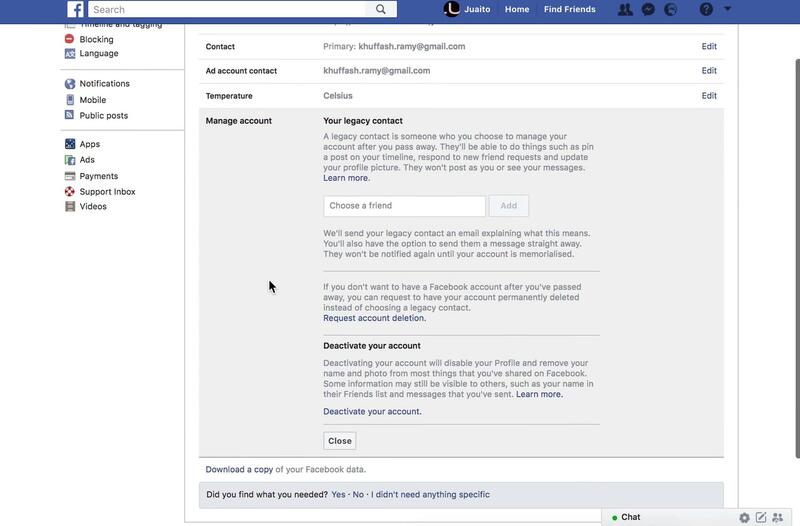 For those of you who haven't jumped on the #deletefacebook trend, I hope this gave you a good insight into how Facebook handles account deletions. If you want to see the full, annotated recording of this user flow and hundreds more, you should sign up to Page Flows.